SCADA Security Conference 2017 - book your ticket! Accept our invitation to participate in two-days international security conference SCADA Security, organized on 12 - 13 October 2017 in hotel DAP in Prague. The event is organized as a regional one involving at least the V4 countries, Germany and Austria (V4+2) and takes a part in an international project Future Forces Forum. The intention is to create a new platform for professionals in the field of security of industrial control systems. 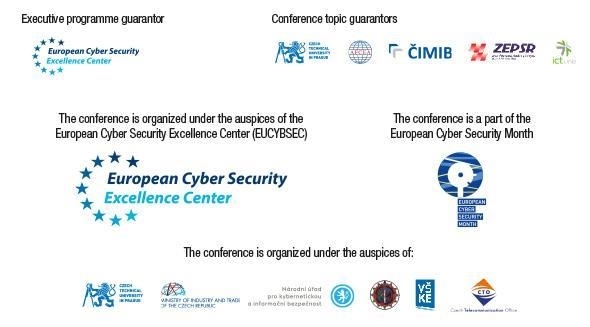 More actual information about the conference in Newsletter, or on the website of the conference including updated informations. ČEZ Distribution, E.ON ČR, E.ON Distribution, Deloitte Security, ČEPS, Innogy, Unipetrol,Prague Gas Distribution, Slovak Electricity Transmission System, Linde Gas, IC Energo, MERO, NET4GAS, Naval Group, MND, MOL Czech Republic, ČAPPO, Information services - power engineering distribution, Genisoft, Microrisc, DataSpring, Automotive Interiors, Develict, EY, QNI Control Systems and more. We believe that the conference and gathering there will bring a lot of new insights, valuable contacts, new business opportunities and overall professional enrichment to all participans. Conference organizers, partners, professional guarantors and outstanding guests are looking forward to meeting you! We sent out this message to all existing Company Name customers. ©2017 Progres Partners Advertising, s.r.o.. All rights reserved.